Best Shocks for Dodge Ram 1500 2WD Reviews: Top-5 in April 2019! 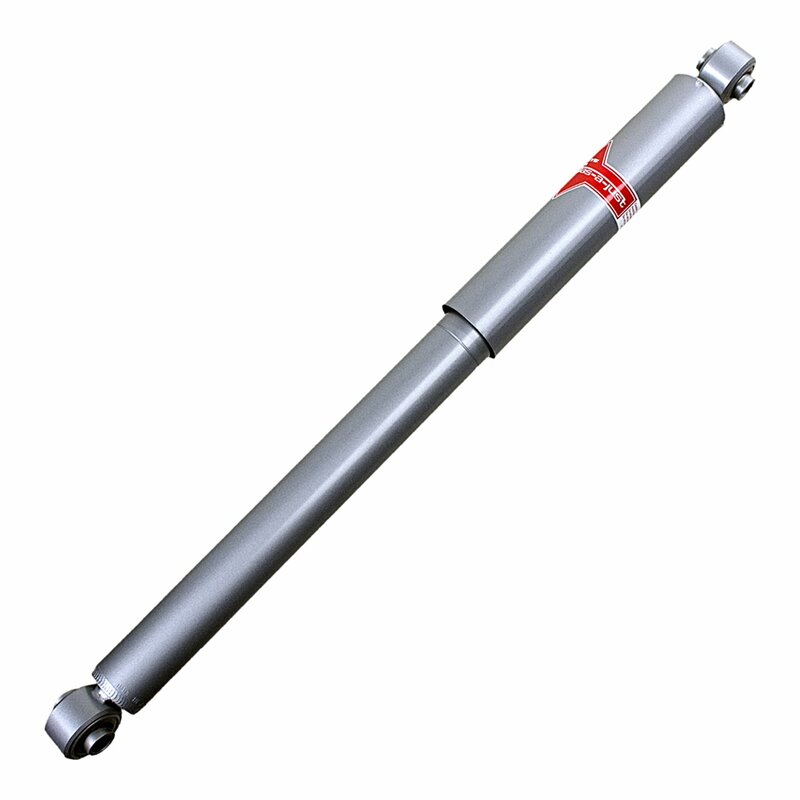 A shock absorber is a sort of oil pump that provides hydraulic pressure to absorb the shocks and vibration of the road surface while keeping the tires on the ground. A shock absorber is not a suspension system; it is a complementary performance part that assists the suspension system in both absorbing shocks while keeping the wheels on the ground. (The suspension system is used to support the weight of the vehicle while absorbing most of the shocks). This model uses infinitely variable damping for predictive all-terrain performance and integrates G-force technology to deliver faster responses. The G63958 uses the proprietary StableSteer valving system to improve tire contact with the road. The piston is a 1 3/8” bonded iron body for extra strength and durability and is leak proofed using a piston seal with rod guide. This model comes with a variable nine-stage valve control disk, so you get consistent oil flow performance, and an OE-design single-lip oil seal that reduces friction, and is housed in a larger bulged tube to enhance cooling performance. The finish is chromed for a performance look and feel. The Gabriel is a truly magnificent and very simple shock absorber. Yes, simple, it’s a no-nonsense shock that comes at a no-nonsense price that is very easy on the pocket. When it comes to optimized performance, you want the KYB Gas-a-Just monotube shock absorber. This monotube shock has two separate working chambers, the first chamber holds the air-free hydraulic piston and valve for responsiveness and control, and the second chamber holds a high-pressure nitrogen gas with a floating piston. These two chambers work in perfect harmony provided a comfortable ride for road trips and added instant performance for extreme conditions. 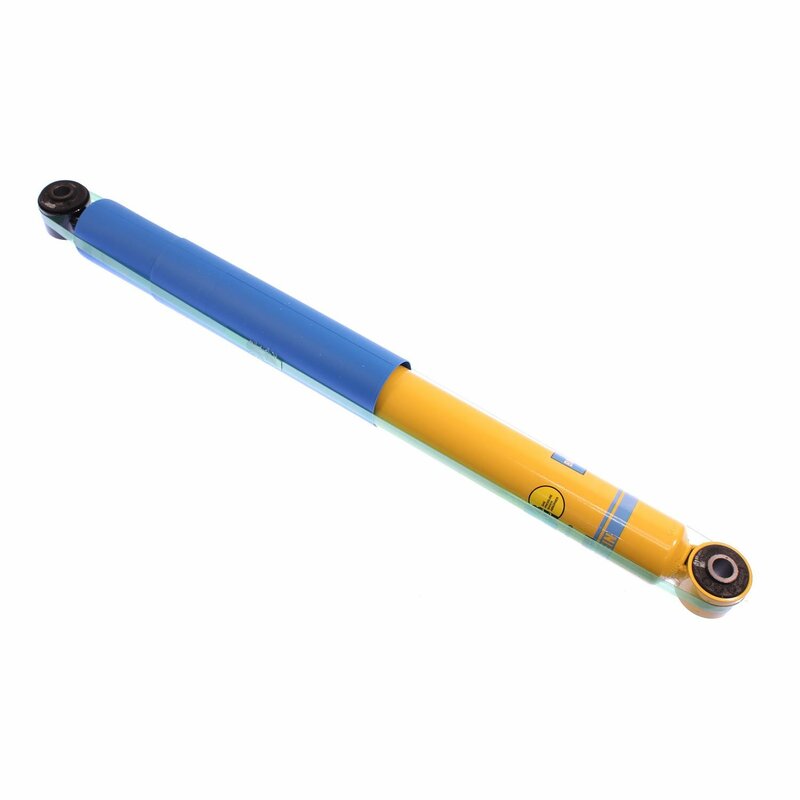 This model comes with a stroke length of 9.84”, it has a compressed length of 15.94” and an extended length of 25.78”, and comes with an integrated extended bumper stop. This is a classic OEM replacement part; the price is reasonable for the quality provided and you won’t feel a difference between the original new model and this aftermarket model. This is the Bilstein®B6 24-186087 4600 Series Rear Driver or Passenger Side Standard Monotube Shock Absorber for Stock Height Vehicles. If you just want to replace a stock shock with a comprehensive replacement that will not change performance and deliver the same feel as before, then this is the monotube shock upgrade you want to install. This model uses the Bilstein mono-tube gas pressure technology that keeps the oil in the absorber under pressure, preventing it from foaming when temperatures and loads increase. You end up with a full damping power even when under extreme stress. This model also comes with the Mono-tube Upside-Down Technology, which adds performance for vehicles that require that little bit extra beyond stock. This model has a 46.9mm (1.81”) body and comes with a protective boot. This is a comprehensive monotube model that comes with a slightly inflated price tag, but that’s only because of it a complete monotube model that delivers beyond expected performance while maintaining stock and OEM levels. The Rancho® RS5000X™ model RS55281 is a Front Driver or Passenger Side Twin-Tube Shock Absorber for Stock Height Vehicles. Rancho is a quality brand name, and their twin-tube shocks are extremely popular. Their white and red design stands out everywhere, and this one integrates their patented rebound valving system that comes with an advanced compression phase model. This proprietary process optimizes overall handling and performance on all surfaces. The Compression Control clamped disc base valve is custom-tuned. It absorbs impacts without disc flutter by regulating the fluid transfer during the compression cycle. This model comes with a precision-tuned shim stacked valving system contained in a 2.25” diameter shock body. This larger diameter body enables the unit to withstand internal temperatures between -40 and 248 degrees Fahrenheit. The stroke length is 4.44”, the compressed length is 9.76,” and the extended length is 14.20”. It really is hard to beat such an impressive model, and the price is very reasonable for all the performance ratings and conditions that this shock provides. 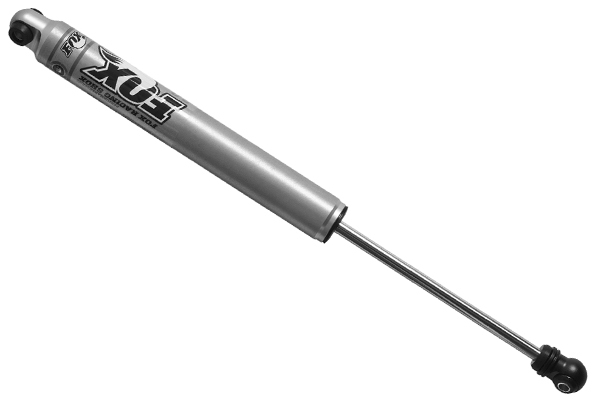 This is the Fox®2.0 model 985-24-032 Performance Series Rear Driver or Passenger Side Smooth Body IFP Non-Adjustable Shock Absorber for 0″-1.5″ Lifted Vehicles. If you have an aftermarket upgraded Ram 1500, and want that extra performance shock to supplement your upgrades, then the FOX 2.0 Performance Series Smooth Body IFP Shock is the one you want and nothing else. This model comes with a 2″ diameter aluminum body, and 5/8″ hard chrome plated heat-treated alloy steel shafts. It also integrated the IFP (internal floating pistons), so you end up with a metal-impacted 6061-T6 aluminum product that dissipates heat extremely fast. You also get vehicle-specific valving that maximizes on- and off-road performance. 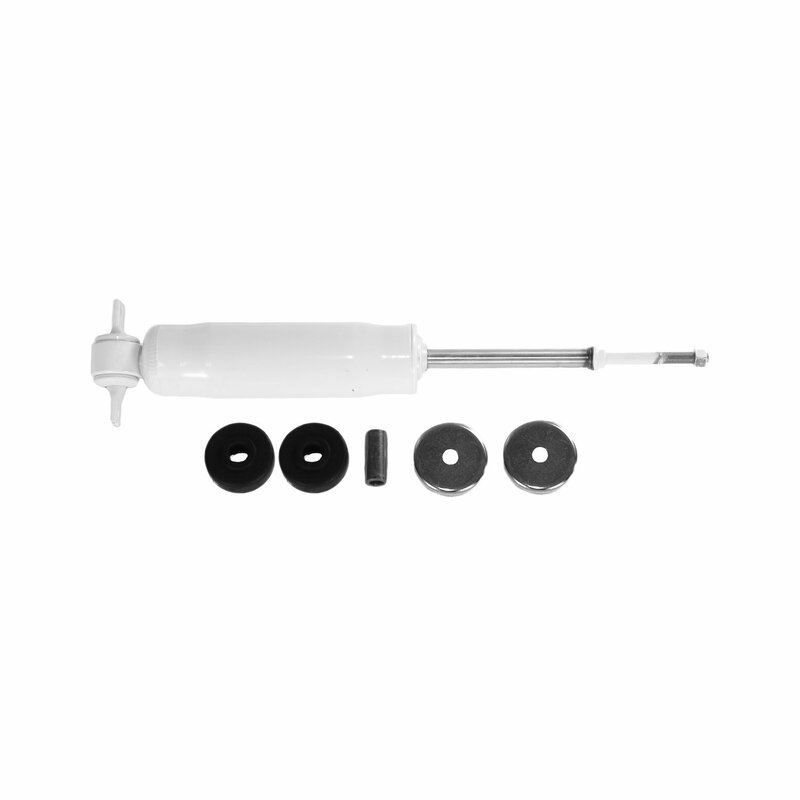 This model uses a three seal redundant sealing pack system that includes a main seal, wiper seal, and scraper seal. When it comes to performance, this is the shock to get. If you are upgrading and want an upgraded shock, then the Fox will outfox your competition and expect the price to reflect the level of performance and quality. This is a serious upgrade for the serious driver. A shock absorber will not only absorb the shock of the disturbance, but it will also quickly force the wheelbase back down onto the ground to maintain a grip on the surface. A wheel in the air is a wheel the driver has o control over; this means a free-flying wheel cannot stop, accelerate or navigate unless it is in full contact with the ground. A monotube shock absorber has only one pressure tube as the name describes. The pressure tube contains two pistons, these are the dividing and working piston. This model can be installed either way and will work perfectly. The m=difference between a monotube and twin tube is that a monotube can add support to the weight of the vehicle, as such it more than complements the suspension. The other difference is that mono-tube shock absorbers don’t have a base valve. The piston controls the compression and extension. It’s a see-saw model, where the dividing piston moves up and down as the piston rod moves in and out of the shock absorber. 1. Oil releases heat with less effort as the temperature rises. 2. No restrictions on installation angles. 3. Less prone to cavitation. 4. Larger oil capacity and greater heat dissipation provide a continuous stable damping force. 5. No foaming, air, and oil don’t mix; they are completely separated. 6. The piston valve is bigger and wider in a mono-tube design these give you a wider area of pressure. The twin-tube shock absorber has 2 cylinders. One cylinder is set inside the shell and the second contains the piston valve. The piston valve moves up and down in the second (inner) cylinder. These types have no barrier between the oil chamber and the gas chamber. 3. Gas pressure is kept low due to the base valve, which provides a more comfortable ride. 5. Friction is at a minimum. 6. Sufficient stroke is attained with far less effort. The gas charged twin tube design uses nitrogen (generally) to reduce aeration of the hydraulic fluid. This prevents the oil and air from foaming when mixed. When aeration is reduced, the shock system works faster and reacts predictably for quicker responses. This assures the wheels are on the ground all the time. Position Sensitive Damping (PSD) is a fluid velocity control technology that considers the position of the valve within the pressure tube. This is reached through precision tapered grooves in the pressure tube that leads to two zones, the comfort zone for normal driving and the control zone for extreme condition requirements. Acceleration Sensitive Damping (ASD) goes one step farther than traditional velocity sensitive damping. In this technology, you get to focus on impact by utilizing a new compression valve design. This is a mechanical closed loop system that opens a fluid flow bypass around the compression valve.